FishTick 3.0 is our newest version and is currently being used at several sites. The software is designed to work with Windows 7, 8, or 10. 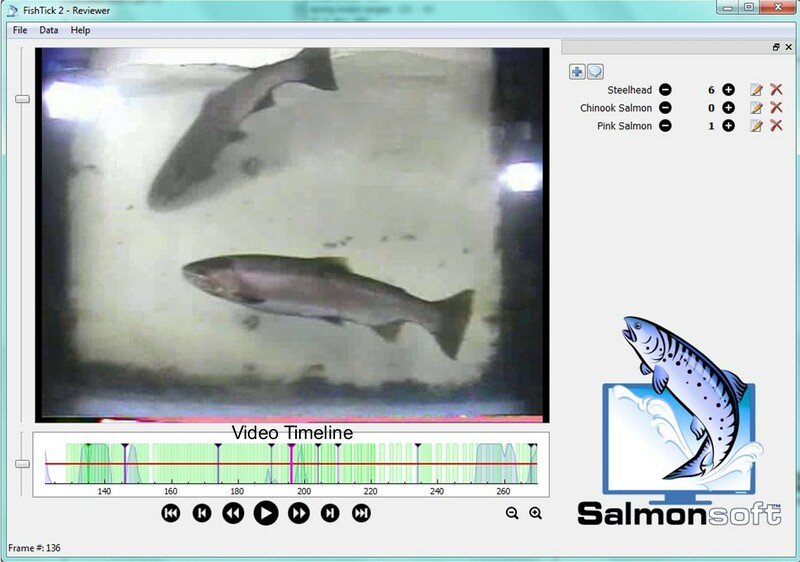 Like version 2.6.3, it consists of two programs, a the fish video processor which detects fish and notes their location in the video. The second program, the review app, allows the user to review the video file. Easily capture all video, rather than just fish frames. 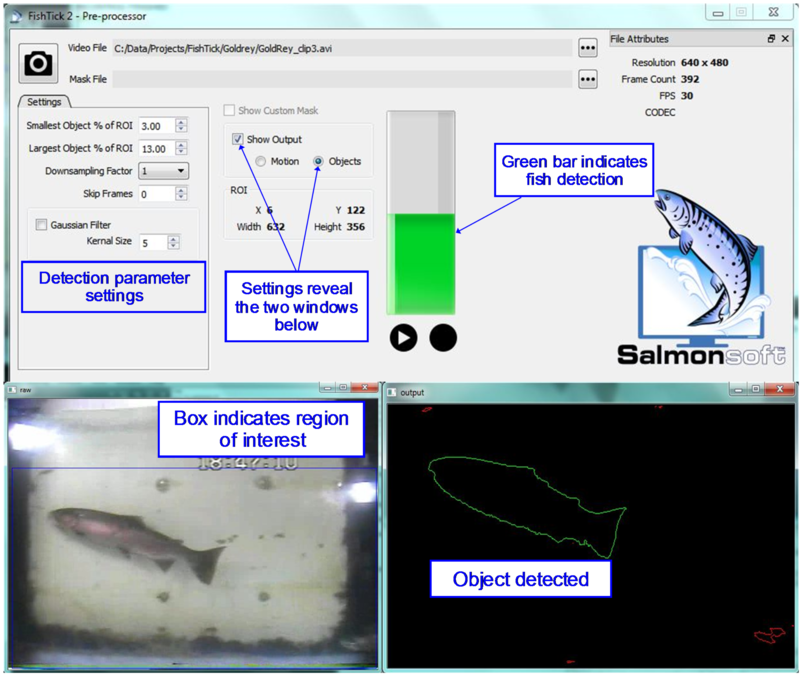 Video can be reprocessed to optimize fish detection. Multiple popular video file formats supported as well as select cameras and video input devices. Easily incorporate external inputs such as PIT tag data. Green Lines: Frames that have been reviewed. Purple lines: Where species counts have been made (+ or -). Single bright green line: Current frame. Blue shading: Line graph showing the amplitudes of the ‘detections’. Red horizontal line: Detection amplitude threshold above which frames will automatically be displayed. Supports review of pre-recorded video. Video timeline illustrates detection amplitudes. Quickly jump to frames with fish detections by setting a minimum detection amplitude. Customized species lists can be set. No need to review video where no fish are passing. Frame ranges that have been reviewed are stored, reducing the chance of video being missed or double counted. Optionally archive just fish video. Easily export summary data to spreadsheet or CSV formats.